Huh? Is this a huge spelling error, or did I just write that title? 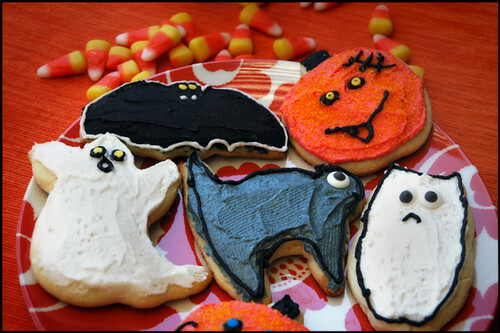 Not that I only wrote it, I also made Halloween cookies in August. Why, oh why!? Because I too hate those people that put Christmas decoration even before the Thanksgiving turkey is eaten, and buy Valentine's cards day after Christmas... But, special occasions demand special measures. 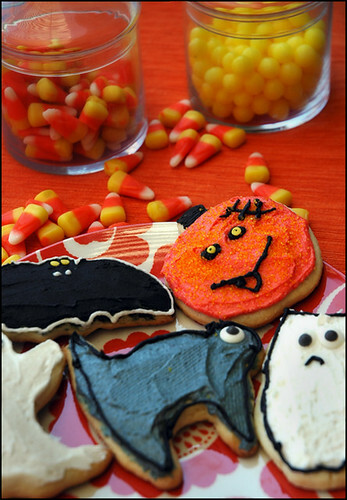 Like throwing a Halloween summer party and making sugar cookies in boo! shapes. Look! So why? Well, you see, in Croatia we don't celebrate Halloween, and I had these friends visiting in the past weeks who really love Halloween stuff and never had a chance to experience it. So after my friend visited me for the second time here in the US, and missed Halloween just by little on both times, we decided we do not want to wait for the third visit. So we went all out, had guests in cool outfits and lots of Halloween goodies, including my mother-in-laws home made pumpkin cookies. The best!!! We found this recipe on sweet cakes blog. The only change from original recipe I made is to use orange extract instead of vanilla for the cookie, and I added some rum extract to the frosting. It was so yummy! 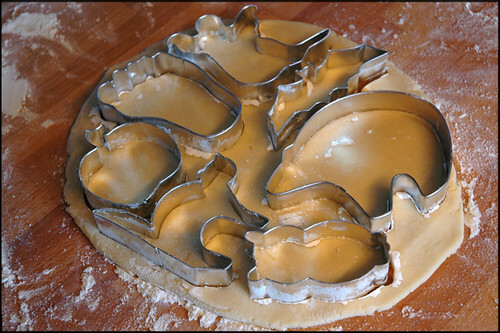 Other than that, recipe and instructions are copied from the sweet cakes blog. Preheat oven to 400 degrees F (200 degrees C). Roll out dough on floured surface 1/4 to 1/2 inch thick. 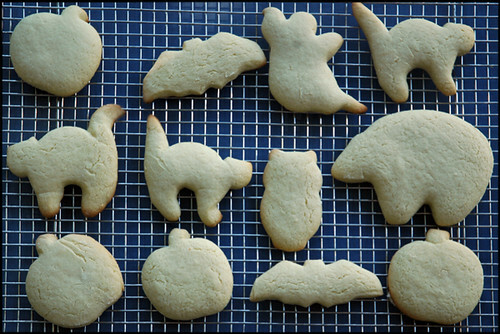 Cut into shapes with any cookie cutter. 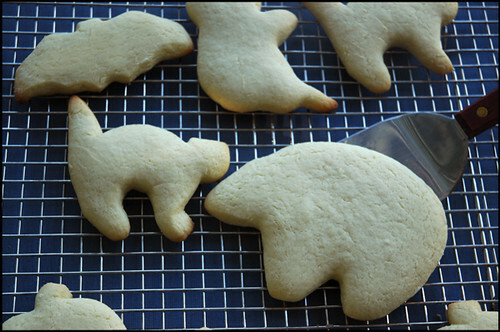 Place cookies 1 inch apart on greased cookie sheets. In a large bowl, cream together the confectioners' sugar and butter until smooth. Gradually mix in the milk and vanilla with an electric mixer until smooth and stiff, about 5 minutes. Color with food coloring if desired. We had so much fun decorating them, everyone joined in and even though we are all almost or over 30, it was like a kindergarten around here. Good times. Now I am even more excited about October and real Halloween. I want this Fall to start already!